Ask Pat: How long before the wedding should I get my dress altered? Dear Pat: My dress just arrived (yay!) but I still have about six months before the wedding–when should I start my alterations? I’d like to get them out of the way, but what if I gain or lose weight between now and the wedding? When do most brides start the process? –If you are not doing your alterations locally. 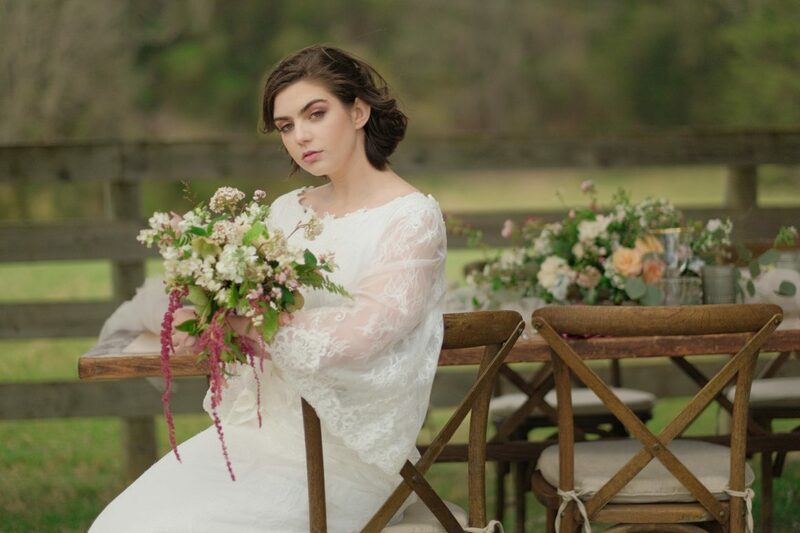 Many brides will have their alterations done in their hometown or the town the wedding will be located, rather than where they live, which can often mean arranging time off of work and booking flights. In this case it’s okay to start alterations early enough to give yourself plenty of time to make at least two trips to see your seamstress or tailor. –If you are planning on re-designing any portion of your dress. Making major changes to your dress–for example adding an illusion top to a strapless dress, or drastically altering the silhouette of your dress–will take more time than typical alterations, so you’ll want to give your seamstress plenty of extra time to re-design your gown. –If the dress is way to big or way too small (we’re talking more than two sizes). If you bought a too big or too small dress in a sample sale, or if you’ve drastically changed in weight since ordering the dress, adjusting a gown more than two sizes can mean a lot more work for your seamstress. Adjusting it to your size may mean adding fabric or completely taking it apart and readjusting for your proportions, which can be tricky. In this case the more time you can give your seamstress to work on your dress, the better! –You tend to fluctuate weight. – You plan on actively losing weight up until the wedding day. Depending on the dress, just a difference of five pounds can mean the dress fits a little too big or too small, so if either of the above applies to you it might be best to wait closer to the wedding date to have the dress altered. In all cases, it’s best to call your seamstress or tailor, tell them what your dress needs done and when your wedding is, and ask them what they recommend. They have the expertise to know how long certain alterations will take to perform, and will be able to give you a good sense of when to get the process started. Previous Coming this April: Justin Alexander Trunk Show!